If you’re a tiler, builder, plumber or work in a similar profession, you will be familiar with the VITREX brand. They have been producing quality products for over 60 years to both the DIY & professional trade and are a leading supplier of tiling, safety products and hand tools. Specialising in both tiling and flooring, they offer an affordable mix of tools and accessories. The range covers everything you need to make a difference in your home or commercial space. From Tile Spacers, to Grout Floats, Mosaic Trowels and even Knee Pads. Their best-selling range of Heavy Duty and Flat Bed Tile Cutters. 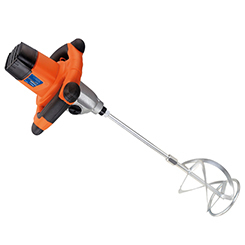 Predominantly a hand tool manufacturer, however they also have a select range of corded power tools including giraffe sanders and power mixers. Even novice users can achieve a professional finish with VITREX and using their equipment couldn’t be easier. Explore the range today at My Tool Shed.